Home to the renowned Ohio State University, Columbus is the capital city of the U.S. state of Ohio. With a thriving art, theatre, sport and culinary scene, the city attracts many visitors throughout the year. Popular tourist attractions include the Franklin Park Conservatory and Botanical Gardens, the Columbus Museum of Art and Short North. Discover the vivacious nightlife and historical charm of this bustling city with cheap flights to Columbus! Columbus is home to John Glenn Columbus International Airport (CMH), a 10-minute drive from town. Columbus bristles with quirky bars and cafés, serving the best in craft brews and exotic cocktails. Discover the city’s live-music scene; while Columbus’ Theatre District offers everything from ballet to cinema screenings. Walk among the blooming rose bushes and topiary gardens, with evergreen displays and sprawling landscapes – perfect for a romantic picnic or quiet retreat from the lively city attractions. Established in the 1800s, this city has roots in infrastructure, aviation, education and healthcare. Districts like German Village hold a significant heritage, while the Ohio History Centre, Kelton House Museum and Ohio Village portray life in earlier days. Columbus sees an influx of tourists during the summer months of June to August, when the city comes alive with outdoor concerts and a pulsating nightlife. The high travel rates, humidity and occasional heatwaves don’t deter the crowds, so be sure to book accommodation well in advance. Spring can be chilly with significant rainfall, although the south-east Ohio hills are particularly beautiful at this time of year. The sweet spot to travel to this vibrant city is during the golden autumn months of September and October, when the weather is pleasantly warm and the parks are laced with hues of amber and gold. 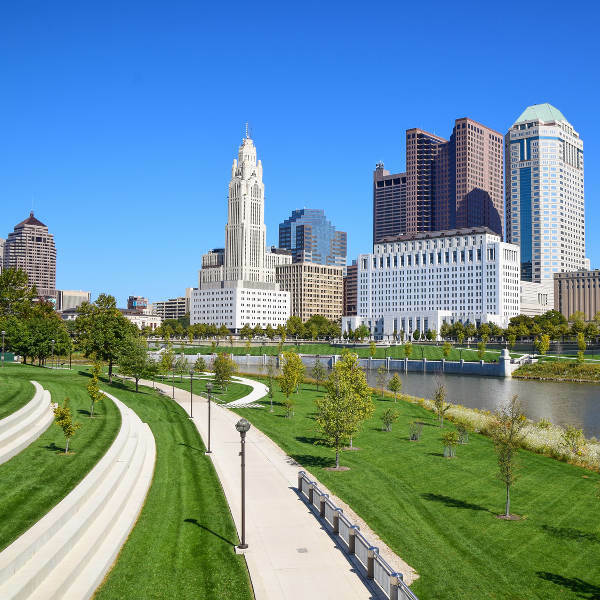 Columbus is a city brimming with culture and landmarks, attracting more and more visitors each year with its expansive parks, insightful museums, festivals and ever-growing culinary scene. Students adorn this college town and low-key nights are made up of homespun restaurants and rollicking bars. For something more upscale, make your way to Easton Town Centre and German Village where you can dine your way through some of the best cuisine. The Scioto Mile also offers lovely al fresco dining experiences along the waterfront. If you’re looking for some retail therapy, the Short North is a hotspot for boutique shopping, unique restaurants and art galleries. Stop by the popular North Market for lunch or to enjoy some of the wine, beer and coffee festivals on exhibit. Art lovers should definitely check out the Columbus Museum of Art, while science and tech geeks can indulge in the exhibits at COSI. Take a break from the city bustle and relax in the parks and gardens scattered throughout. 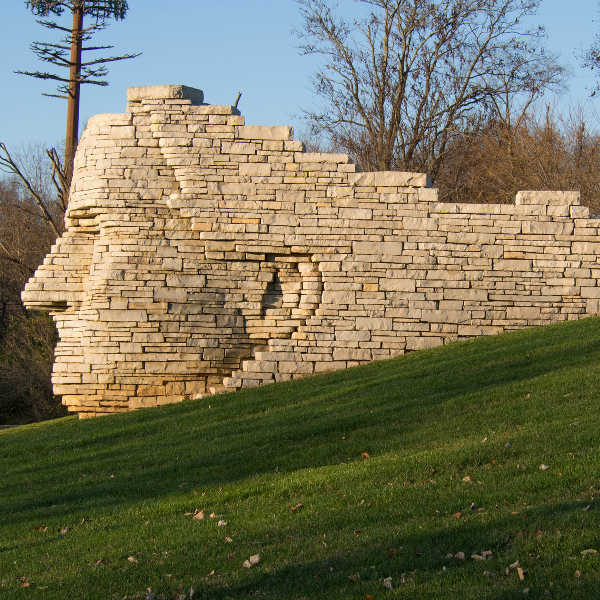 The Franklin Park Conservatory and Botanical Gardens blends horticulture and art, while the Columbus Zoo and Aquarium is a world-class sanctuary for over 6000 animals from around the world. Sports fans can cheer for their favourite team at the professional and collegiate games at Huntington Park and Ohio Stadium, happening all year round. Compare several airlines, and book your cheap flights to Columbus online at Travelstart! For the most part, this bustling city is fairly safe. 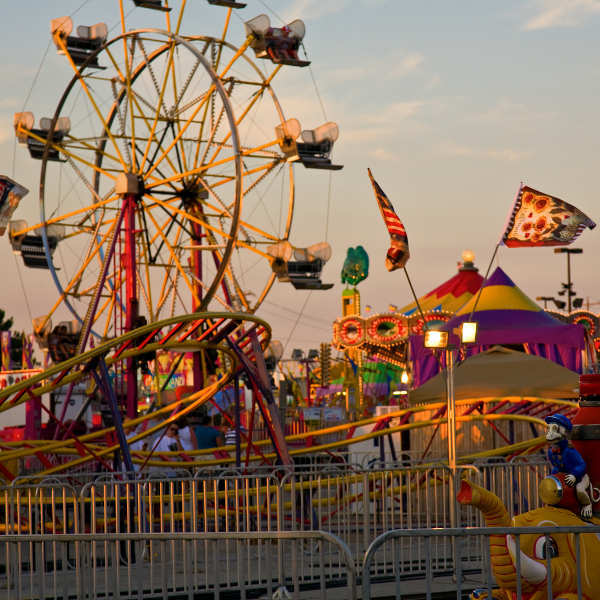 Visitors should feel perfectly safe to walk around and enjoy the town’s attractions. Nevertheless, general safety precautions should always be taken. There are a few unsavoury neighbourhoods that should be avoided at night, namely, Cleveland Avenue, Livingston Avenue, Main Street and around Brice Road. If renting a car, ensure it is always locked when parked, with valuables hidden out of sight. Be warned that drinking and driving is not tolerated and is punishable by law. Police routinely set up roadblocks along major roads, so always have your driver’s licence on hand.